Ah Tizi Melloul. I remember your weird genie-in-a-bottle room, your modern Middle Eastern fare, your dim lighting and stark white tables. 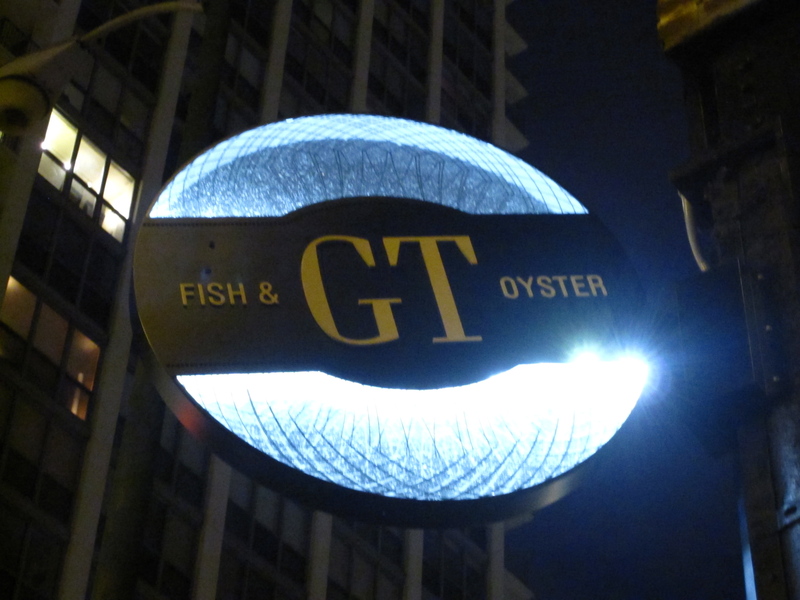 I remember the place, but don’t particularly miss it, especially now that GT Fish & Oyster Bar has taken over that coveted River North corner. I loved chef Giuseppe Tentori’s dishes when I first had them at Boka, everything so beautifully presented, immaculate oysters and seafood, brilliant combinations..so I knew GT was going to rock it when it opened. A visit there this week blew my mind, as expected, with a balanced and seafood-heavy menu of small plates, and a refreshing, cool vibe that was a lot East Coast beach house, a little nautical-chic (think the Maritime in NYC) and very summer clam-bake cool. 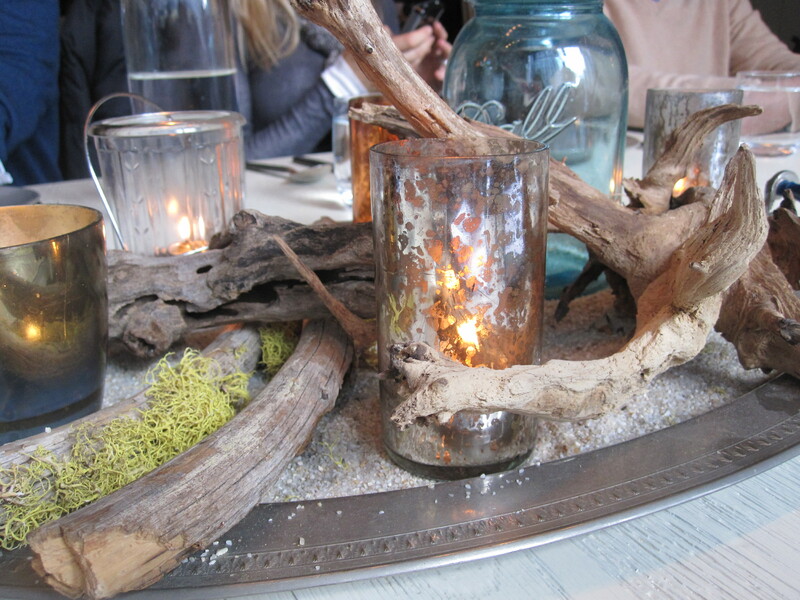 It’s pretty much always packed, naturally, but my companion and I sat quite comfortably one of the (full) white wood oval communal dining tables with a cluster of drift wood, candles and old ball jars as a lovely centerpiece—the best On the Table yet. From there it was all about the menu, fresh oysters—from Blue Point to Fire River—served with house cocktail sauce, cold dishes like ceviches, smoked salmon, tuna poke, and hot dishes like a lobster roll, crab cakes, clam chowder, fish and chips and stuffed squid. 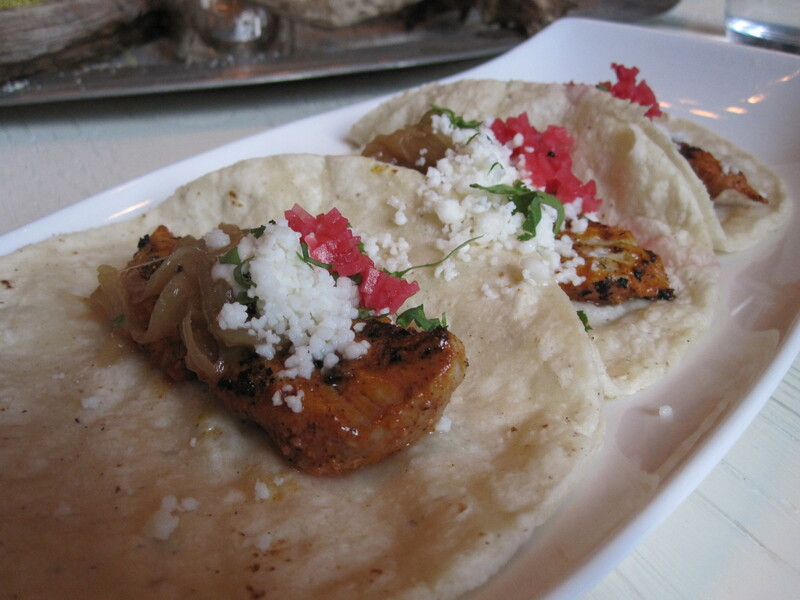 Dishes are medium-sized, easily sharable and you’ll want one of each. 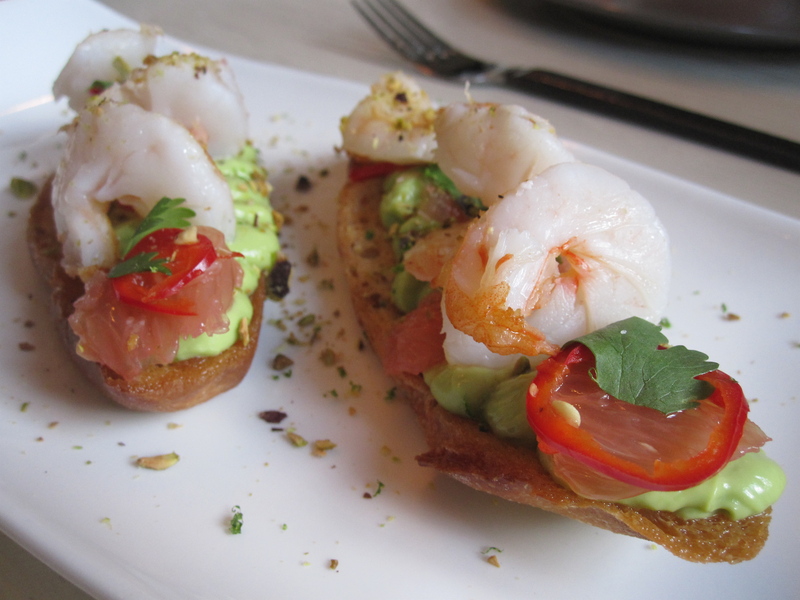 But first we settled on the Baja shrimp bruschetta with silky smooth avocado mousse topped with pink grapefuit wedges, jalapeño, toasted pistachios, cilantro and shrimp. It flaunted the full array of textures from crunchy bruschetta to ultra-whipped mousse, yet still melted in our mouths with every bite. 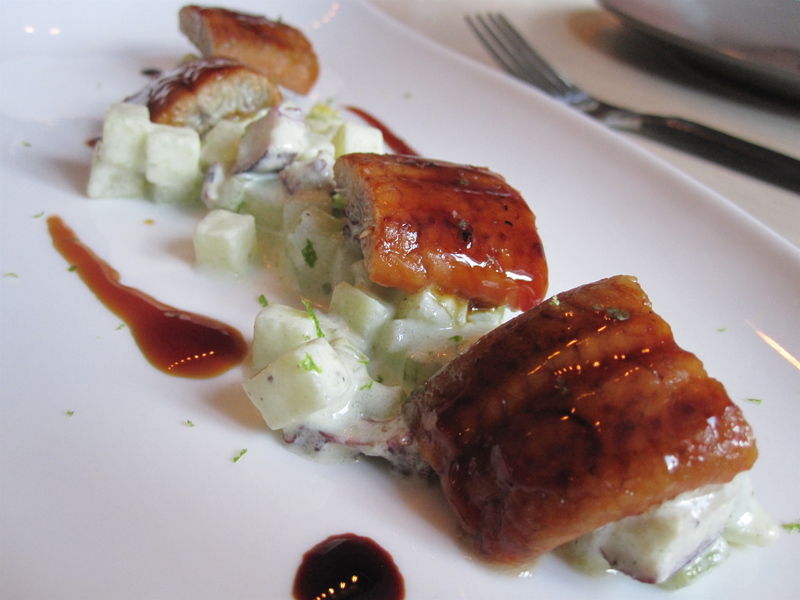 From there we went to the barbecue eel with wasabi, potato and octopus salad. I tasted more creamy diced potato than octopus in the salad, but the eel was delicate and delicious with a sweet barbecue glaze. An interesting combo of hot and cold..salty and sweet. 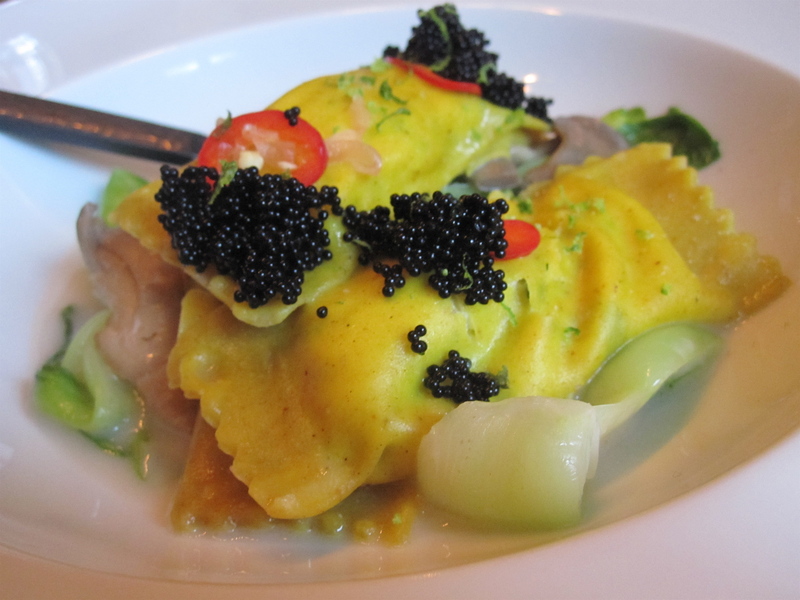 But the winner of the night was crab agnolotti, a stunning dish of yellow curry agnolotti pillows stuffed with Dungeness crab and resting in a light coconut broth with boy choy, sliced maitake mushrooms and topped with black tobiko. An elizabite-of-the-week worthy dish, it was colorful, inspired and fantastic. 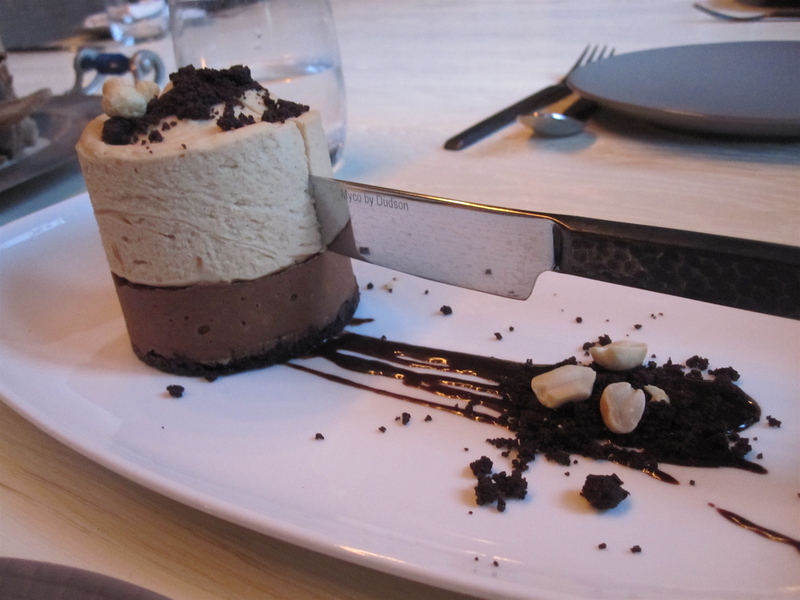 On to dessert, the peanut butter chocolate situation on the menu was a no-brainer, and this tempting combo crunchy praline with soft peanut butter mousse topped with salted peanuts and chocolate soil didn’t disappoint. The praline section was a bit tough to cut through, even with the strategically placed knife, but with a little maneuvering, we managed to dig right in. 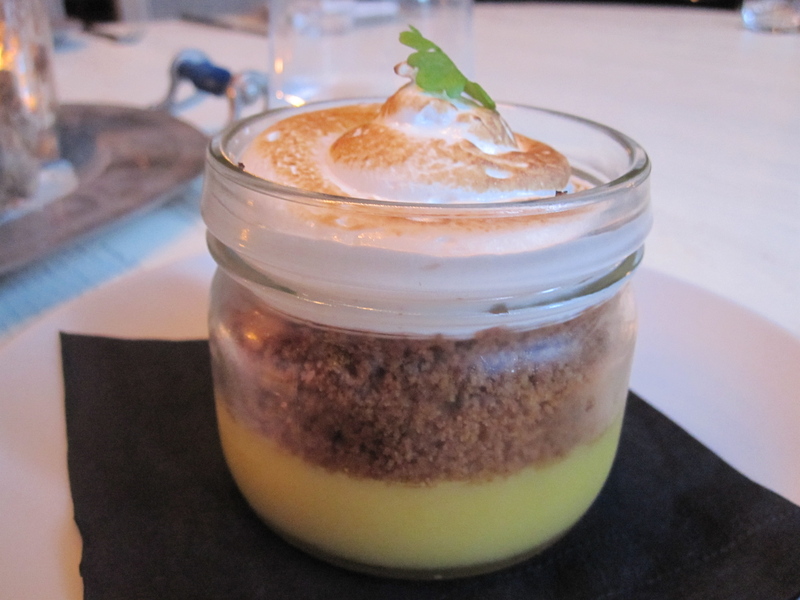 My Pavlovian ordering reaction kicks in when I see “peanut butter-chocolate,” and, OK, well also “Key lime pie,” and GT’s version was an awesome layering of custardy lime pie, graham cracker crumbs and brûléed marshmallow fluff. The jar presentation is a bit overdone these days, but this dessert was lovely, and once we got the nerve to bust right on through that perfect swirl of golden brown fluff, it was on. Oy, the lobster roll! The oysters! The mussels! There was so much more I wanted to try, but alas, another visit will happen soon, and as we move into summer, I can’t wait to see what else is on tap at GT. GT Fish & Oyster Bar, 531 N. Wells. I did not realize that is where GT was! Everything looks delicious but I especially love the key lime in a jar.